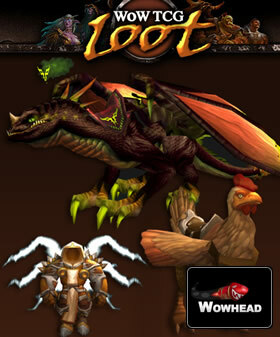 Our good friends over at WoWTCGLoot and Wowhead have joined forces to present everyone with an amazing giveaway contest. Here are all the prizes that will be awarded. Second Place (10): 5x Foam Sword Rack and 5x D.I.S.C.O. "What have you been most excited to achieve/acquire in-game?" This contest ends on January 16th at 11:59PM (PDT), so don't delay! Submit your response for a chance at Mini Tyrael and other awesome prizes.